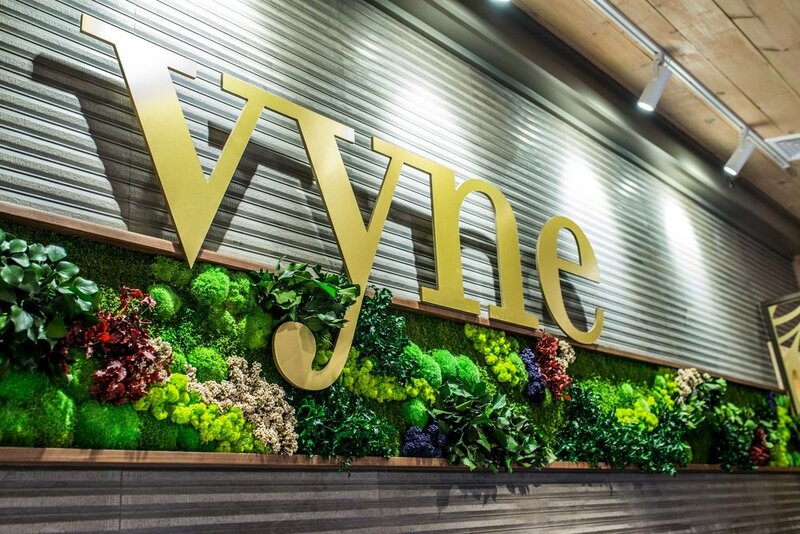 The newly opened “Vyne Restaurant” is just one of three of the exciting new off-site venues that are part of the Tranquillity Estates portfolio, each having re-invented the “country chic” dining and retail experience. 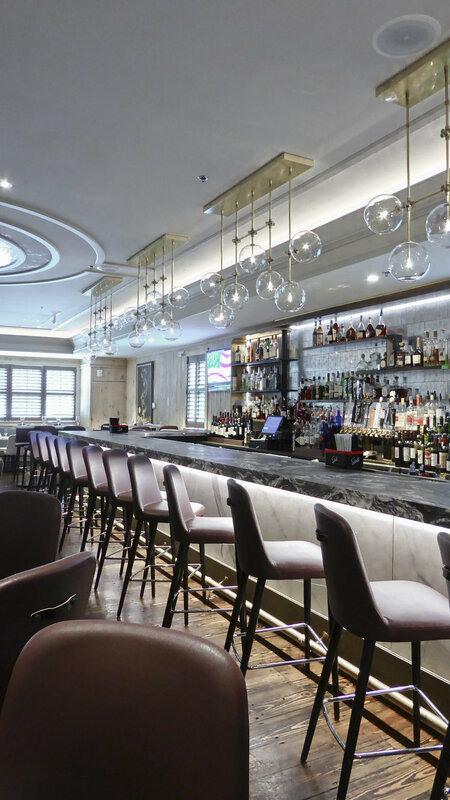 These new destination venues can be found in the tranquil setting of a beautifully detailed French Provincial building, where Tobin Parnes Design re-designed the building’s interior to be sophisticated, elegant and relaxed all-in-one. With features like white pickled wood walls, muted merlot color blends, a Green Garden Wall feature, a custom Sicis mosaic “vyne” wall; and an open “display kitchen”, equipped with a beautiful tile-clad wood pizza oven, there is much to see. 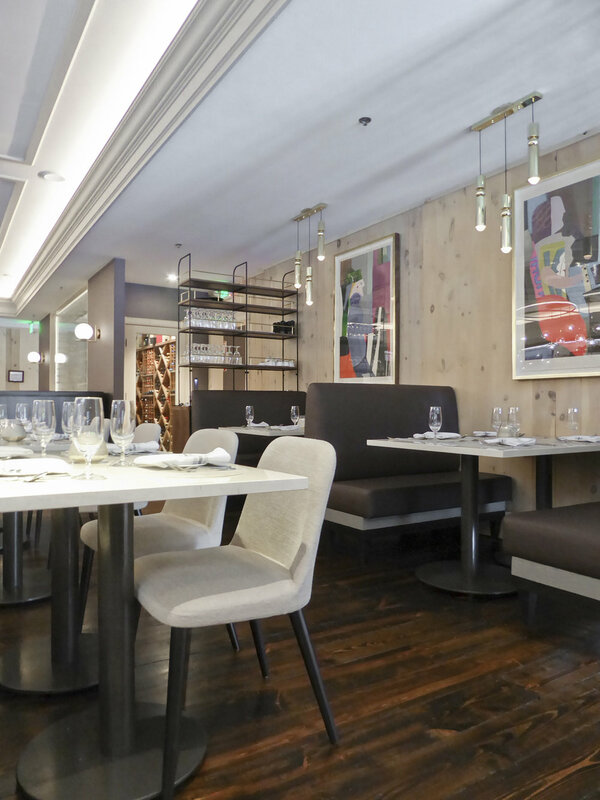 TPD celebrates vino and gastronomy with this new restaurant design with the open kitchen at the chef’s counter eating bar, custom designed cable wine display and decorative metallic “vyne” inspired panels that help to create a more intimate dining experience. 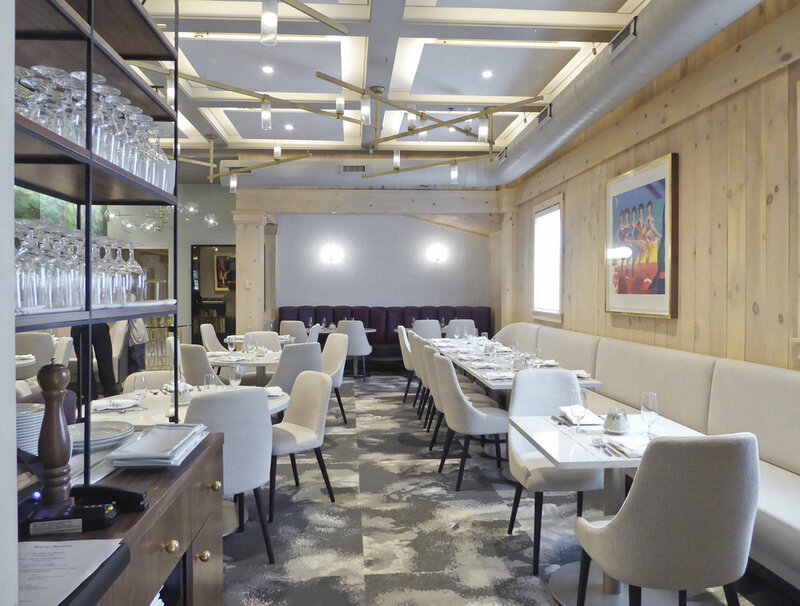 Dark stained wood flooring in the upper bar transitions to large format neutral grey tiles resembling a topographic landscape where one will also find a “floral” carpet tile field in which to dine and relax to enjoy the adventurous Vyne menu. Decorative linear globe fixtures above the upper drinking bar and custom light fixtures randomly crisscross above the lower dining area while multi functioning backlit acoustic panels sit above within each coffer, the lighting is integral to the design, helping to create a unique and multi-layered dining experience.